Sure, your little one might spend most of its time burping and peeing and crying, but that's not to say he or she doesn't want in on the festivities! Get everyone involved at Halloween, Thanksgiving, or that dreaded company costume party with this Newborn Ear of Corn Bunting, which doubles as the perfect non sequitur/escape strategy for the latter awkward occasion: "Hey Jen, why is your baby a cob of corn? I don't know, Larry, but isn't he just the cutest? Alright, looks like it's about bedtime for this little veggie!" 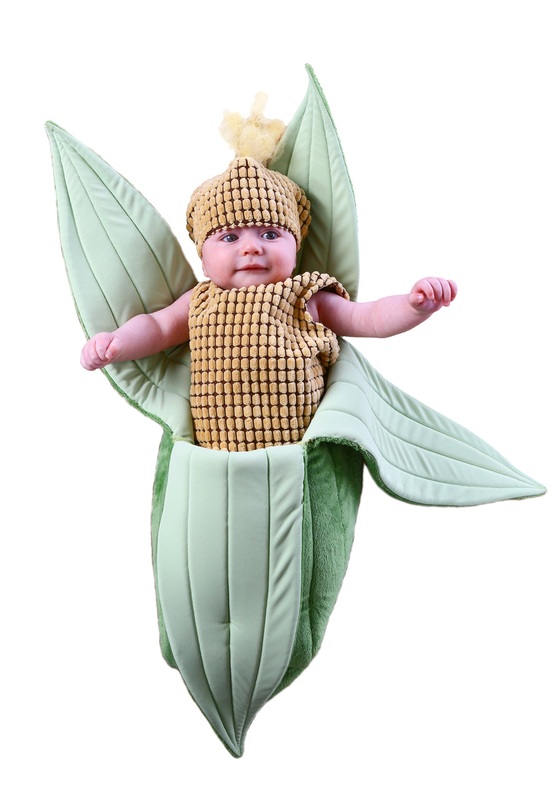 Until you get the opportunity to use this line, though, be sure to remind everyone that your little one isn't on the dinner menu, despite the fact that he will be cute enough to eat in this adorable corn cob costume. Fit great. Good quality and very warm. So many compliments on how it was the cutest costume ever!